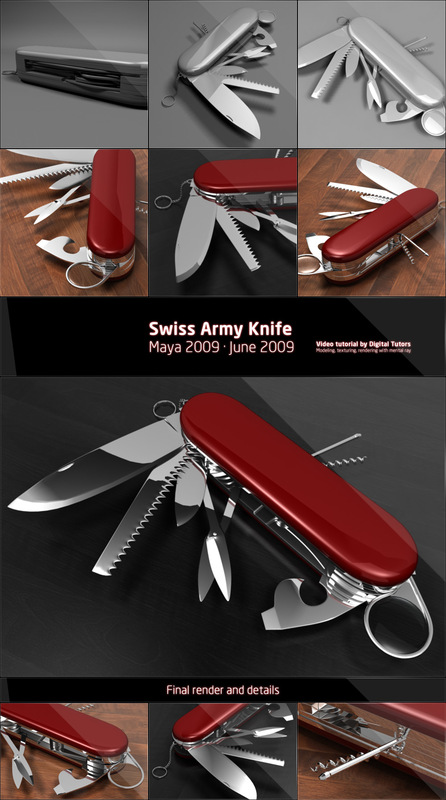 Another one based on a video tutorial from Digital Tutors, this is a swiss army knife. The tutorial took me a few days to complete and led me through various modeling techniques, and I finished of rendering it with mental ray. Really awesome work PixelPirate! very sharp!